Found and rescued from the bargain bin at Bendigo Wool Mill last year. Not quite the right shade of purple for my baby blanket project. But perfectly soft and fluffy and warm. Enter autumn cold nights that arrived brutally in April, just weeks after we had the last of a beautiful summer. I couldn’t bear the thought of idle hands on all my train trips to and from Melbourne, or on my multi-leg flights around Australia this past month. And a coffee without a some craft is an opportunity lost. 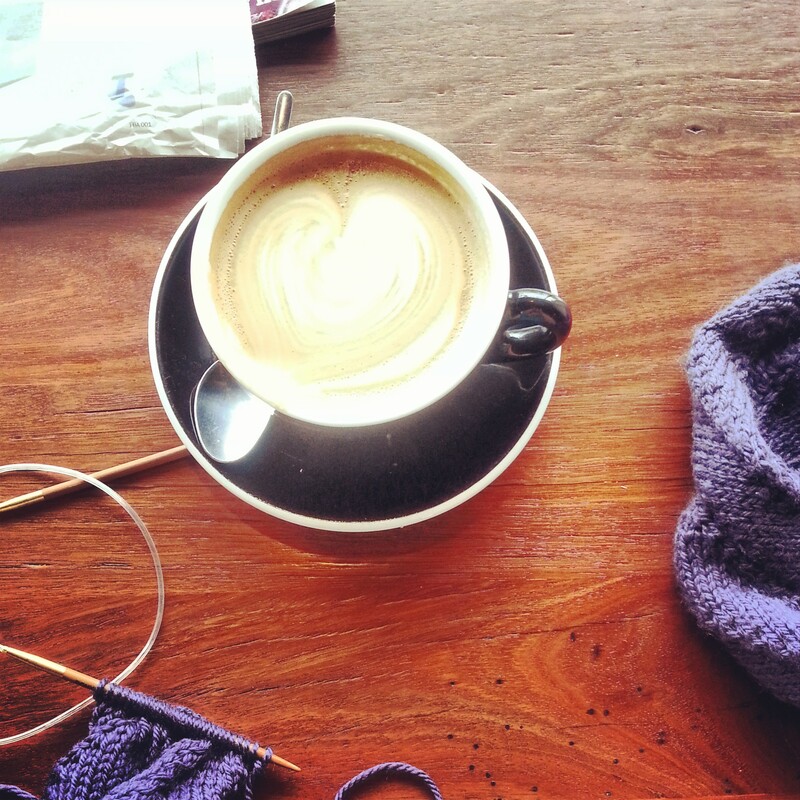 Canberra life: coffee and knitting and catchups with friends. 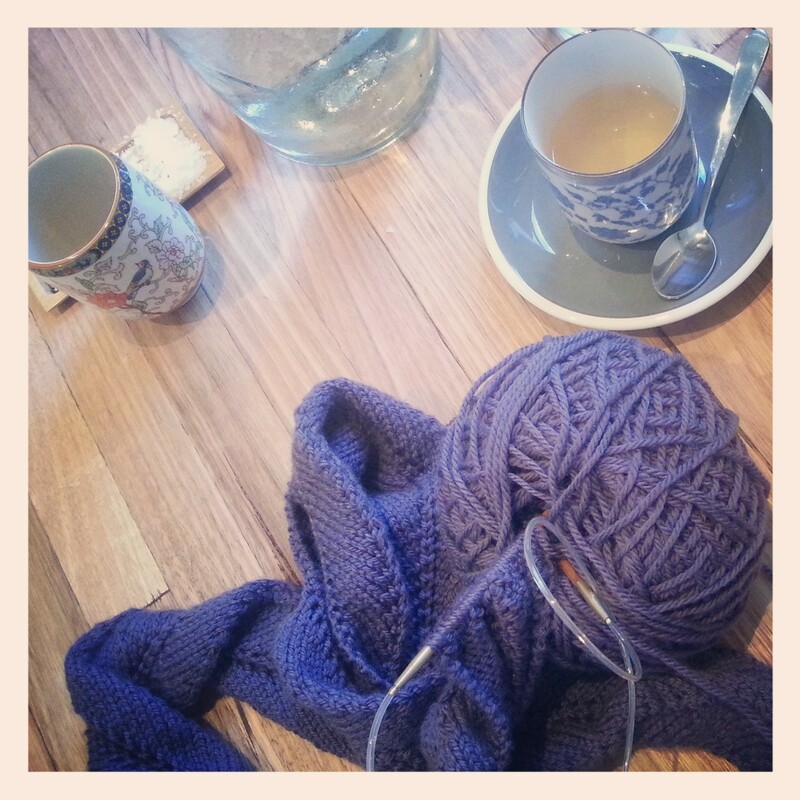 Yarn: 8ply wool from Bendigo Wool Mill – about 180gms. Pattern: again, this was an adaptation from a larger blanket pattern. Made to fit my short attention span and requirements to be portable and easy. I found this zig zag blanket via ravelry, and fell in ripple love. Again. Similar to my last project I stuck to two repetitions of the ripple. Repeated. Finished, just in time for winter! And the finished product is lovely and soft and warm. 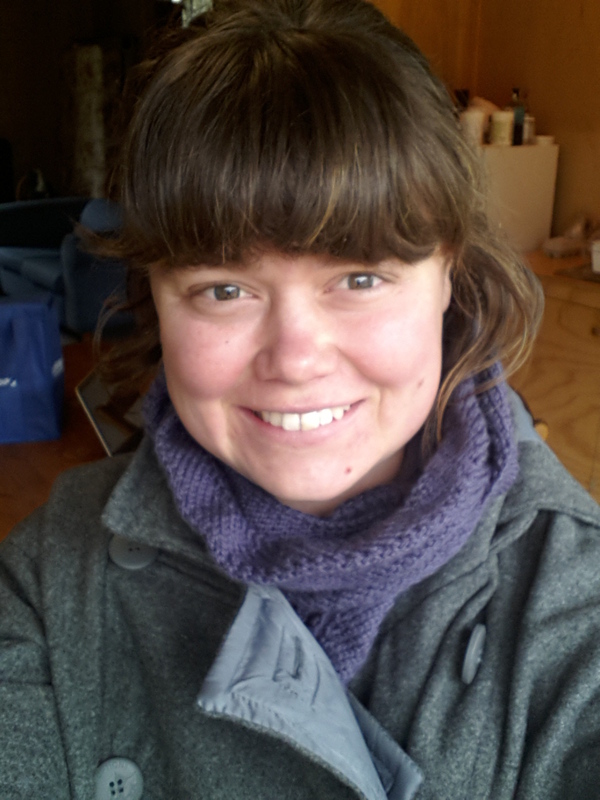 Everything I wanted for this winter – but with the added bonus of enough yarn left over to make a beanie!! Keep tuned, the next month will be beanie time! « Celebrating Autumn: my favourite time of year.